Our used Hymer Nova SL 570 is shown below, for more information please contact us. INCLUDES MOTOR MOVER AND PORCH AWNING! If you want high quality in a touring caravan then look no further than Hymer. This SL 570 is a three berth layout and features two large bench seats that create a double bed, a side dinette which converts to a single, and a spacious end washroom. 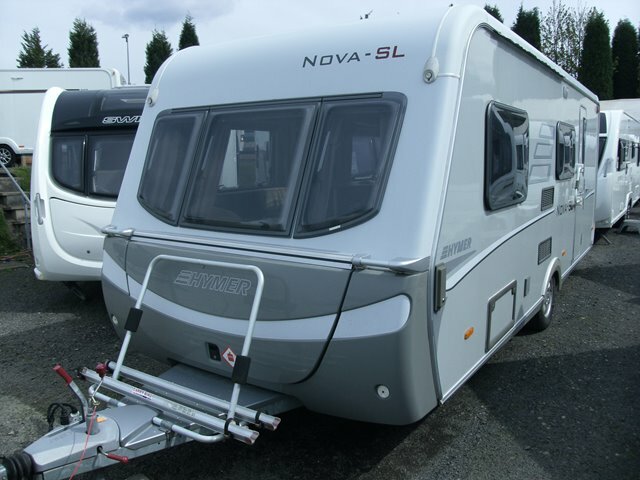 The Nova includes blown air heating, fridge, full oven/grill & hobs, a porch awning and a fitted motor mover too. For further information please contact us on 01384 413336 and ask for a member of the sales team.